(CNN) - Microplastics have been found in human stools for the first time, suggesting they may be widespread in our food chain. Austrian scientists monitored and tested stool samples from eight study participants from different countries and all of them tested positive for at least one form of microplastic, with the nine different types discovered ranging in size from 50 to 500 micrometers. Microplastics -- tiny plastic particles less than 5 millimeters in size -- are usually worn down from larger plastics polluting the oceans, such as bottles and bags. 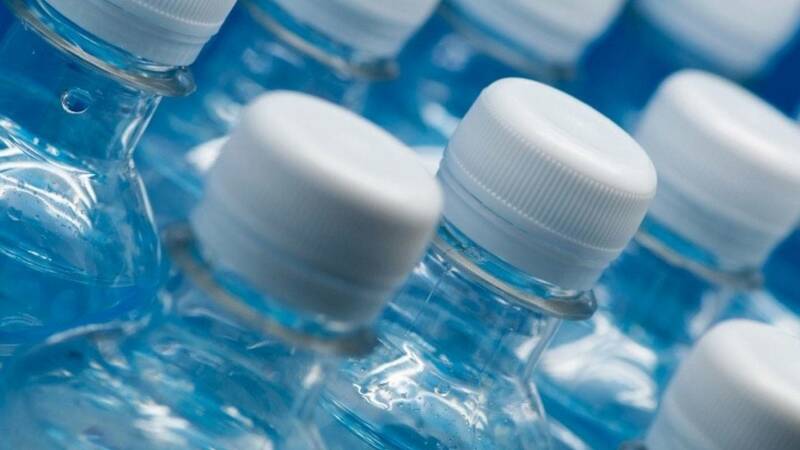 But experts have urged caution given the small size of the study and highlighted that it cannot be stated with certainty that the microplastics came from people's diets. The team behind the research called for more work to be done to investigate what the findings could mean for human health. "This is the first study of its kind and confirms what we have long suspected, that plastics ultimately reach the human gut," said lead researcher Dr. Philipp Schwabl, a researcher at the Medical University of Vienna. The eight participants came from across the globe: Finland, Italy, Japan, the Netherlands, Poland, Russia, the UK and Austria. They kept diaries of their food intake for a week before having their stools tested. The diaries showed that all eight had been exposed to plastic-wrapped foods, while six had eaten seafood. On average, 750 milliliters of water was drunk from plastic water bottles by the participants, of whom none were vegetarians. Previous studies have found microplastics to be present in fish, beer, bottled water and soil, as well as in the air. The stools were tested for 11 kinds of microplastics, of which up to nine were identified in each participant. An average of 20 microplastic particles per 10 grams of stool were found, with polypropylene (PP) and polyethylene terephthalate (PET) -- major components of plastic bottles and caps -- found in all of the participants. The research did not indicate that plastics were accumulating and remaining in the body. "Of particular concern is what this means to us, and especially patients with gastrointestinal diseases," Schwabl said. "While the highest plastic concentrations in animal studies have been found in the gut, the smallest microplastic particles are capable of entering the blood stream, lymphatic system and may even reach the liver." "Now that we have first evidence for microplastics inside humans, we need further research to understand what this means for human health," he added. The study was presented Monday at a United European Gastroenterology conference in Vienna. Experts said they were not surprised by the findings, which provide further evidence of the widespread presence of microplastics in our environment and the damaging effects of plastic pollution in the world's oceans. "We know that microplastics are endemic in the environment, in consumer products we all use, and in many different species of animals that we consume directly or indirectly, so it would be more surprising if they had not detected microplastics in human stools," said Peter Jenkinson, managing director at environmental consulting firm CEHTRA. "There isn't evidence of microplastics in the body, but that they have been in the body and travelled through, and as such this does not show any evidence of accumulation," added Stephanie Wright, a research fellow at King's College London. The researchers are hoping to secure funding to conduct wider studies. "This is very much a preliminary study," said Alistair Boxall, professor in environmental science at the University of York in England, who called for more work to be done to understand where ingested microplastics originate. "We don't have exact evidence from where this is coming from -- it could be that most of these materials may be coming from house dust and the use of plastic containers and packaging or, for example, nylon fibers from our tumble dryer -- and this could potentially outweigh the environmental routes of exposure," he noted. Boxall added that "to truly understand the sources of exposure we need much more thorough studies where we monitor closely people's day-to-day activities and the media they are exposed to." The European Parliament voted last month to support a ban on the use of microplastics in cosmetics, for which they are specially designed. But an estimated 150 million tons of plastic are floating in the world's oceans, with an additional eight million tons entering every year, according to the World Economic Forum.